Alumni Director Janet Irsik Kliesen has informed the alumni officers that she is reluctantly stepping down from her duties as director of the association, a position she has held for the past 22 years. Her involvement with the alumni extends back to 1978, when she was an association officer, before becoming assistant to the then Alumni director, Sr. M Mel Essa in 1982. After 5 years of mentoring under Sr. Mel Essa she was appointed Alumni Director in 1987. Janet's roots at St. Mary's runs as deep as her loyalty. Her mother, Clara Dasenbrock, was a 1936 graduate of the Academy. Following in her mothers footsteps. 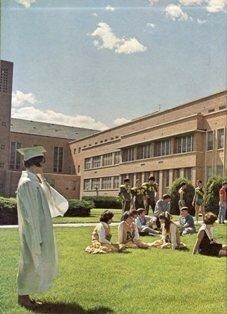 Janet graduated from St. Mary's High School in 1957, and college in 1961. Early on in her student life it was apparent that Janet was destined for a leadership role. She was her freshman high school class president and her sophomore college class president. She earned her B.S. Degree in Elementary Education from St. Mary's in 1961 and spent the following 14 years teaching elementary school at Windhorst and Sacred Heart Cathedral, capping off her teaching career at Dodge City High School. She spent 6 years at Dodge City Community College as the Director of the Career Center before taking her place as assistant to Sr. Mel Essa. She currently serves on the Irisk-Doll Company Board of Directors and the Directors Board of the Community Foundation of Southwest Kansas. This is the foundation that was created to manage SMOP endowment monies and awards scholarships to students through out Southwest Kansas. Memories for Janet over the past 52 years of involvement with St. Mary's are to numerous to mention. Many are plesant memories but there are sad ones too. Being the humble person that she is I had to turn to her yearbooks to find out that as a student she was heavily involved in class activities and government positions in both high school and college. She probably wouldn't want me to mention that she square danced, played basketball and was a varisity cheerleader. Nor would she want it to be known that she was Homecoming Queen in 1959. However there is one honor of which she is most proud of and that is when she was selected to recieve the St. Mary of the Plains "Outstanding Alumni Award" for 1983. Other memories she mentions include working with the late Alumni Association presidents Ron Herrman and Mike Lix. Especially heart wrenching for her were the deaths of Sr. M. Mel Essa and Sr. M Vincent, her assistant. 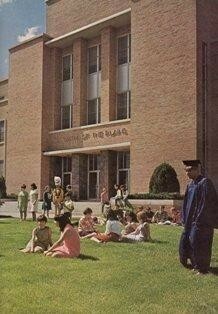 But the sadest memory of all is when in 1992 they announced that the college would be closing. Perhaps her most happy memory was when she met and married her high school sweeheart, Stan Kliesen high school '57, and together raised 4 children, which have given them 10 grandchildren. She and Stan will continue to live where they have lived for many years, in Wright, Kansas, and oversee the family farming operation. It is with sadness and good feelings, I am leaving my position as Alumni Director. I have been through "hell and high water" during the 22 years of being your leader, with an Executive Board that supported me to the fullest! Going through deaths, both family and friends, and the closing of the school, it wasn't easy at times. However, one has to remember the good times as well, and continue with life under the direction of Our Lady of the Plains. I personally Thank each of you for your personal and financial support, respect, and stability for the Association during the past 22 years. May Our Lady of the Plains Bless each of you! Janet Irsik Kliesen H'57 & C'61. The announcement that Reyne Kenton has been appointed the new Director of the Alumni Association, was made recently by Tom Armstrong, Alumni President. The decision was made at the April meeting of the alumni Board of Directors and will become effective on July 5th. Reyne will be taking over the top reigns from Janet Irsik Kliesen, who has served in that position for the past 22 years. Reyne is a 1988 graduate of St. Mary of the Plains College and is currently active in all aspects of the association affairs. While earning her B.A. Degree in History and Education she was a resident assistant at Medialle Hall for 2 years. Since graduation Reyne has taught school at Wheeler AFB in Hawaii and had worked in Nevada and Tennesee before settling down in Dodge City in 2000. For the past 7 years Reyne has been employed by the State of Kansas Board of Pharmacy as a compliance officer. Reyne was born in Dodge City and grew up in Hodgeman County, Jetmore Kansas. Reyne cherishes her time at St. Mary's and the friendships she has made. She is looking forward to working with all the alumni, and is excited about all the possibilities that lie ahead. She will hit the ground running with a soon to be released survey on this website, to garner ideas from the alumni on how to proceed as an association. Reyne will be only the third alumni director appointed in the associations history. No doubt she has a strong legacy to follow, but with our help and cooperation I'm sure she will do well. The election to three association officer positions, President., Vice President and Secretary/Treasurer, will take place at the annual association business meeting scheduled for July 4 at 1pm, at the Knights of Columbus Hall. Nominees are chosen by the association's executive board and must be either graduates or matriculates of either St. Mary's High School or College. Nominations will also be taken from the floor. The terms for these elections are for three years and will expire in 2011. To date, nominations include Dr. Beverly Schmitz Glass, Ph.D. C76 to fill the office of President, Cody Keith C92 as Vice-President and Joyce Batman Suellentrop C62 as Secretary/Treasurer. Nominee (Elected) Dr. Beverly Schmitz Glass: Beverly is a 1976 graduate of SMOP College with a B.A. in Physical Education and a B.S. in Psychology. She earned her M.S. in Communications and Marketing at Oklahoma State University and was awarded her Ph.D. in Healthcare Administration from Kennedy Western University. 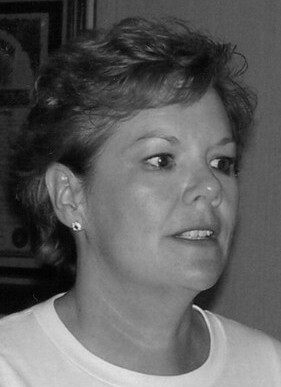 She is currently Executive Director of the "Garden City Dowtown Vision", a Kansas Main Street and central business district economic development organization in Garden City, Kansas. In prior years Dr. Glass was director of college relations for St. Mary of the Plains when it closed in 1992, as well as a Medaille Hall resident assistant. As a student she was a member of the college pep and jazz bands and bestowed the title of Miss White in 1976. She is married to Bruce Glass and they reside in Garden City. Nominee (Elected) Mr. Cody Keith. Cody C92 is the current association vice-president and will seek a second term in that position. Cody lives in Fowler, Kansas. Nominee (Elected) Mrs. Joyce Batman Suellentrop: Joyce C62 currently lives in Wichita Kansas and this is her first nomination to office.